Living Liberty brings fans to their feet! Wondering how to bring sports fans to their feet in the spirit of solidarity and team spirit? 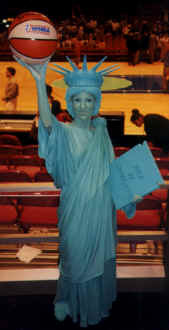 Who better than Living Liberty, the "living" Statue of Liberty!